Some kids like frills and sparkles and bows and lots of pink. And some don't. 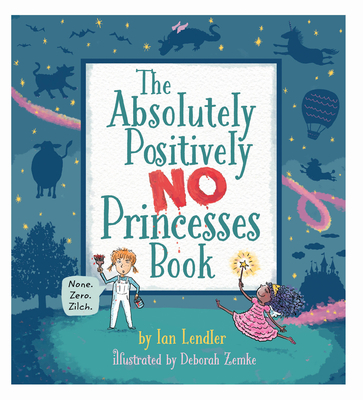 The girl who started "The Absolutely, Positively No Princess Book" is sure that she wants a story full of nature and adventure. But when a princess barges into the pages with her own opinions about what makes for a good story, the two learn that they each have something to offer. Together they make the best story of all.